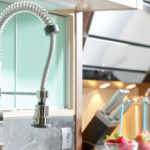 Designing your new kitchen or remodeling your existing kitchen can be time consuming, stressful, and costly. 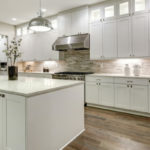 When it comes to kitchen cabinets, here are some tips on making the process easier, less stressful, and in some instances less costly, while still achieving your dream kitchen. As you do your research and consider kitchen cabinet choices, there are number of items to consider. 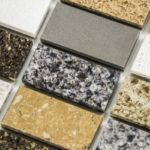 Start with the strength of the materials, after all your cabinets store a great number of items as well as support the countertops you choose and all that sits upon them. This, of course, includes shelving, where you will also want to consider the style as well as whether the shelving is adjustable. Next, consider the finish. Will it hold up to spills, splatters, kids, pets, and other misadventures that occur in the kitchen? Doors and hardware are another important item. 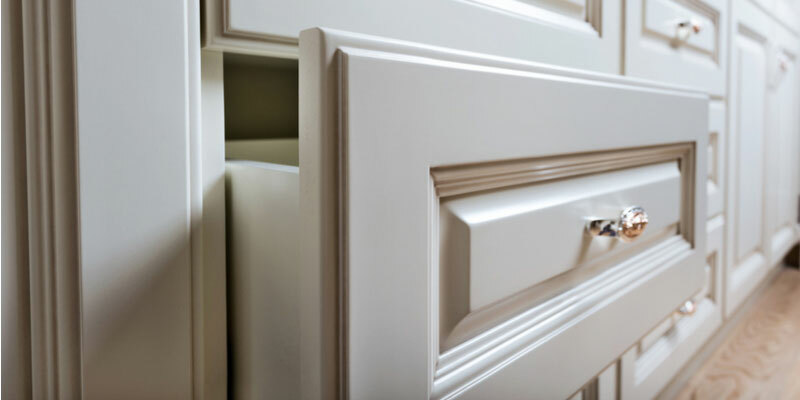 Doors should close easily and securely, drawers should glide easily with a soft close option, both with no slamming. Drawer fronts and bottoms should be securely attached. Your budget is also an important consideration in making your selection. Cabinets come in stock, custom, and semi-custom types. Stock cabinets (the least expensive) are usually pre-assembled and limited in color and style. Semi-custom cabinets come in more styles, colors, and configurations, while custom cabinetry (the costliest) promises to include all your special features and specifications. 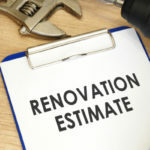 If cost is a main concern, consider revitalizing your existing cabinets if they are in good condition. You can refinish, repaint, or reface your old cabinets often at a fraction of the cost of new cabinets. Among the highest quality cabinets are two main types – the frameless and the face-frame. The trend is moving toward frameless cabinets, but currently two-thirds of cabinets in America are face-frame. Face-frame cabinets use a frame shape and offset hinges. The frame gives durability and strength. The offset finishes may be partially visible in the front. The negative of face-frame cabinets is the confined opening size as a result of the frame. Frameless cabinets, also known as European-style, are built with finished panels on both sides and edged with a narrow strip or band. Using the 32mm system, frameless cabinets offer greater adaptability and versatility. Hinges are hidden, and doors are flush in frameless cabinets. As mentioned, stock cabinets and custom cabinets vary a great deal in price and installation time. Let’s look at the pros and cons of each to help you make the best decision for your kitchen. Stock – Commonly stock cabinets are pre-assembled for installation. They offer budget savings with less style and color choice. Some of today’s stock choices include solid wood options as well as high quality construction. On the downside, some are made of particleboard, and trim, style, color, and sizes are limited. The cost of stock cabinets begins at $70 per foot. Semi-Custom – Found between stock and custom, semi-custom cabinets are often a great choice. They offer many custom options like material, crown molding, specialty trims. The negatives may include lower quality than custom and limited special features. The cost of semi-custom cabinets begins at $150 per foot. Custom Cabinets – These made to order cabinets offer the most storage, are made with hardwood and other premium materials. The cons are the high cost. Custom cabinet pricing begins at $500 per foot. Cabinets are sold though showrooms, dealers, home improvement centers, some retail stores, and even kitchen appliance stores. Well-selected, quality cabinetry is part of the aesthetic and function of your home and has the potential to increase your home’s value – choose well.